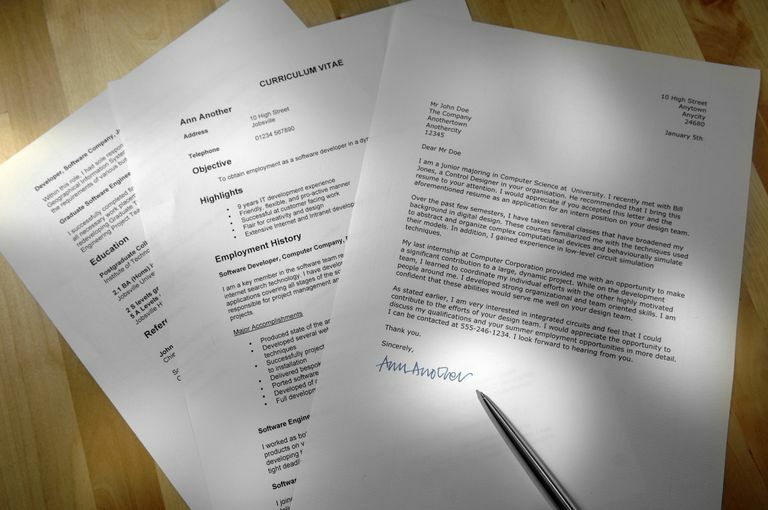 A cover letter is often the tool that gets someone interested in really reading your resume. It summarizes your experience and tells a story so potential employers will want to invest more time in considering the details. Some people write their resume first. Others start with the cover letter. Whichever way you go about it, these tools should work together to paint a picture of your qualifications. That means your cover letter should be clear and polished. We have found most people have an easier time creating a cover letter if they don't start at square one. By using a template, the format can guide you and the message can be more easily conceptualized. This professional cover letter template for Microsoft Word is a wonderful way to showcase your job skills and experience. To tell your story according to dates, consider using a chronological resume, and use Microsoft Word's chronological cover letter template. Remember, choosing a cover letter template is all about highlighting job history's strengths. If your job history looks best according to skills and accomplishments, you may want to use a functional resume with a functional cover letter template for Microsoft Word. Use Microsoft's referral cover letter template to get an idea of how to go about introducing yourself through a referral. The text shows you how to mention your shared contact while also covering the usual content in a cover letter. Applying for a temporary job could mean a different approach than a permanent one. You may want to see if this Microsoft Word's temporary job opportunity cover letter template gives you some good ideas. Sometimes a job posting asks for you to submit your salary expectations along with your cover letter. Get ideas for how to do this by checking out this cover letter including salary requirements template for Microsoft Word. Some people you may want as professional references are likely busy. One way to make your request is to send an official job reference request letter template for Microsoft Word. Once you get an interview, you may need another kind of letter to follow up and say thank you. Get ideas using Microsoft Word's job interview thank you letter template. Hopefully, these templates help you prepare for your job search.